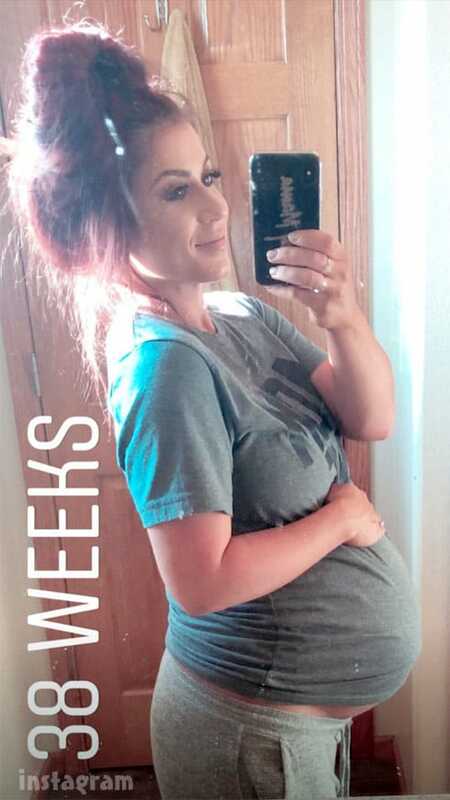 Teen Mom 2 star Chelsea DeBoer is nearing the home stretch of her third pregnancy, and she updated fans with another baby bump photo on Instagram while revealing that she will not be posting on social media when she goes into labor, only after she gives birth. TWEET: Thinking about seeing @ChelseaHouska crying over those nasty texts from Adam in 16&P, and seeing her now happily married, expecting baby #3 is such a beautiful thing. It makes my heart feel full. #TeenMom2 ?❤? RANDY: I watched just now, remembering those painful phone calls and tearful discussions. Now I watch @ChelseaHouska talk it out straight with @drdrew and see the strong woman that I always knew was hiding under the pain…And now, 9 years later, I discover terms like gaslighting and toxic traumatic bonding. Does coining names means easier to address? Doubtful. I have yet to figure my place in helping others overcome this. Gotta do something tho. Ideas out there? TWEET [Mommy Lost It]: As someone who is currently going through, it helps a lot just seeing you’re not alone. Especially when you see that person break free from the cycle. There does need to be more support groups, and definitely more knowledge spread about it. Love me some Houskas and DeBoers! If you missed any of Chelsea’s previous baby bump photos you can check out her sublime professional maternity shots here and here, and some of her earlier baby bump selfies here. Zach Galifianakis’ wife Quinn Lundberg is pregnant and has gone into labor!